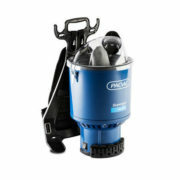 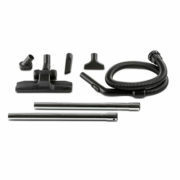 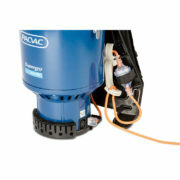 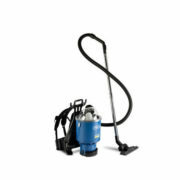 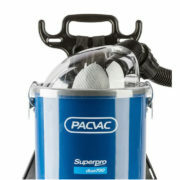 The Superpro 700 Series is the world leader in back pack vacuum cleaner design. Statistics show that vacuuming with a back pack is the most efficient way to clean. The Superpro 700 Series can clean up to an amazing 700sqm per hour saving you time and money. The Superpro 700 Series is efficient, durable and is the result of over 30 years of innovative design and development, making them the Australian cleaning industry’s first choice in back pack vacuum cleaners. Their performance is also matched by their comfort. The Superpro 700 Series is fitted with a world standard ergonomically designed harness, HEPA rated Hypercone™ filtration and provides cleaners with an effortless and healthy cleaning experience. 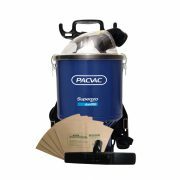 The Pacvac Superpro Duo is specifically designed for Cafes, Factories, Hospitals, Laboratories, Nursing Homes where accidental suction of liquid is likely to occur. 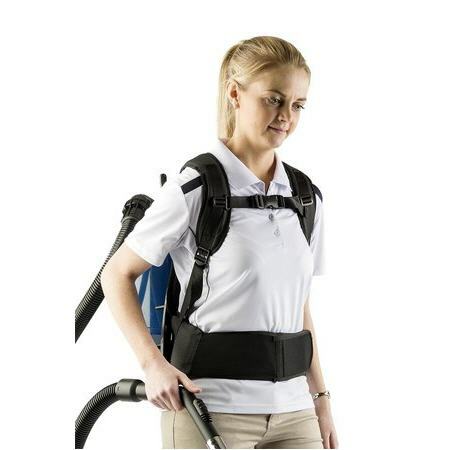 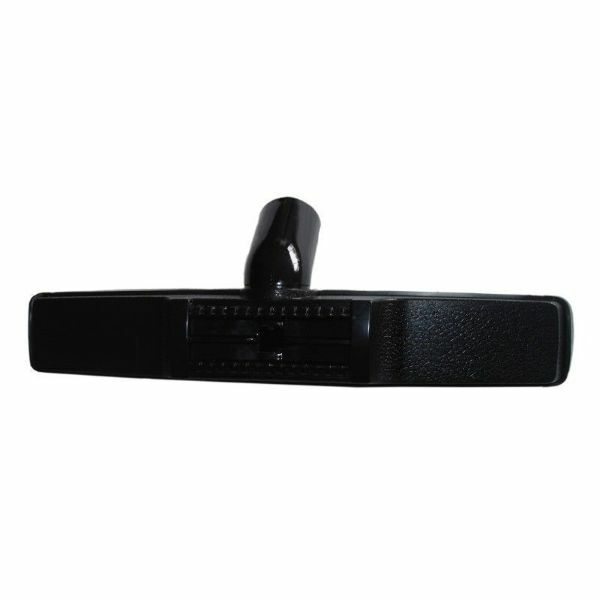 A world standard ergonomic “body-moulded” frame and adjustable harness. 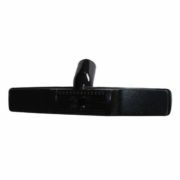 Designed for increased comfort and anatomically correct posture. 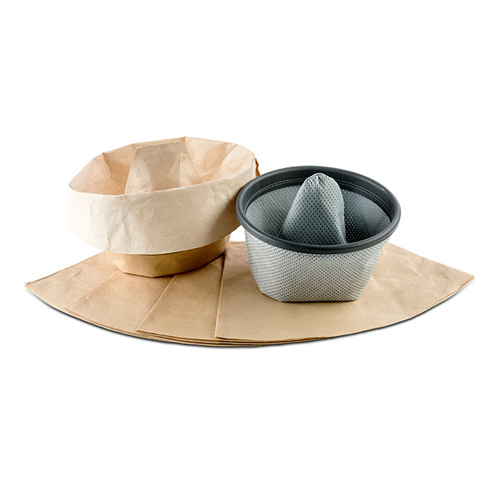 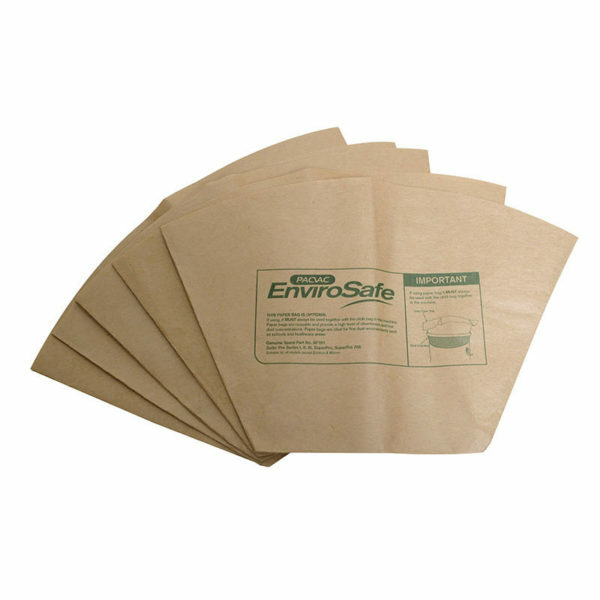 1 x Hypercone™ HEPA filter – the only filter in the market that maintains suction as the dust bag fills.